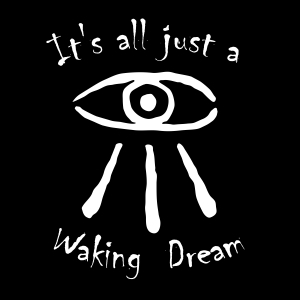 Today I start a new series of posts describing the philosophy behind my upcoming novel, Waking Dream: Devlin Book I. The book will be going on sale on September 22, 2013 — The first day of Autumn. As an side note, all dates in the book and the actual release dates all play into the overall mystery of the series. At the basis of it all, the concept of the Waking Dream stems from my own personal studies in a variety of areas. Its more than just a series of fiction novels, it is an interwoven collection of things I have come to understand to be plausible with reference to the nature of our universe, the formation of life, the human soul and consciousness. I assert that our present scientific endeavors are looking for the wrong things and that some of the things presented as fact are indeed quite wrong. There are far too many unknowns, and most of all, we cannot understand nor explain the most fundamental aspect of our universe, Gravity. In addition, there is this lack of unifying the physics of the big things in our universe (stars, galaxies, planets, life) and the physics of the very small, quantum level (atoms, electrons, singularities). Even though there has been significant effort in this area, we are still no closer to a true Theory of Everything — well, not an accepted theory that is. At the end of this post I will list some of the books that have helped shape my understanding of the universe. In the Waking Dream, the Creator set the parameters for the universe, then moved on to other places, perhaps checking in on us from time to time out of curiosity. I have always found it quite paradoxical to think that an all supreme being would need us to worship him. We have created a God to worship for a variety of reasons — mostly to explain the things we cannot explain. But as time moves forward, we will require God less and less. This is the fundamental aspect of my philosophy behind the Waking Dream. Once we realize we are all One being, with each of us a facet of that one being, we will no longer need to rely on a God because we will realize that we are all God and One. In the beginning, there was One — the first Immortal. It is he who set into motion the creation of the stars, galaxies, planets. And through this, other consciousnesses began to form in a place called The Spaces Between, the source of all the energy necessary for matter to exist. Souls/Spirits coalesce much in the same way stars do, swirling thoughts that accreted from this primordial energy. One is just the first, and not God. And through him, the other Celestial Immortals were created through a predefined equation. From his essence, the Magician and the High Priestess came into being. They are the ones who created the parameters by which the incorporeal enter the physical realm of the Waking Dream. They also are the ones that defined the ability to affect the Waking Dream, known as Weirdness, my form of magic. From the Magician and High Priestess, came the last of the Celestial Immortals, the Triad. They are the Dexter who governs Order, the Sinister who governs Chaos, and the Charnel One who governs death and reincarnation. And through the Triad the shells that our souls inhabit in the Waking Dream were created, the Sleepers. All souls, or Dreamers and Immortals, must inhabit a body in the physical world to exist. Once they have done so, they live out their lives and eventually Awaken to understand that the universe is a Waking Dream. From this point, they are able to use the inherent Weirdness within all Dreamers to subtly affect the Waking Dream, making the world as it is today. And when they die, they return to the Spaces Between to begin all over again. A Dreamer does not consciously remember their former life, except through the phenomenon of Deja Vu. But when they return to the Spaces Between they retain all of the knowledge of their multitude of lives. This continues until they reach the state of Immortality, the goal of every Dreamer. The next part in this series will explore Immortality and the differences between the Celestial Immortals and the Planet Bound Immortals. Previous Previous post: Blood Dolls are Now on Sale!